Peter Edward “Ginger” Baker (born 19 August 1939, Lewisham, South London) is an English drummer, best known for his work with Cream and Blind Faith. He is also known for his numerous associations with World music, mainly the use of African influences. He has also had other collaborations such as with Gary Moore, Hawkwind and Public Image Ltd. While at times performing in a similar way to Keith Moon from The Who, Baker also employs a more restrained style influenced by the British jazz groups he heard during the late 1950s and early 1960s. 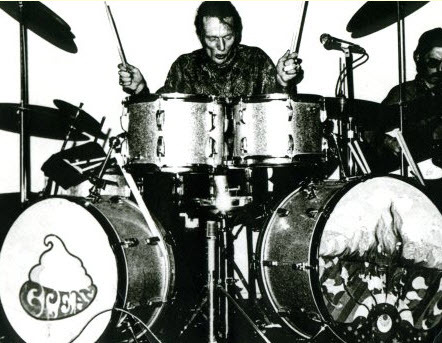 In his early days as a drummer, he performed lengthy drum solos, the best known being the five minute drum solo “Toad” from Cream’s debut album Fresh Cream (1966). He is also noted for using a variety of other percussion instruments and for his application of African rhythms. He would often emphasize the flam, a drum rudiment in which both sticks attack the drumhead at almost the same time, giving a heavy thunderous sound. 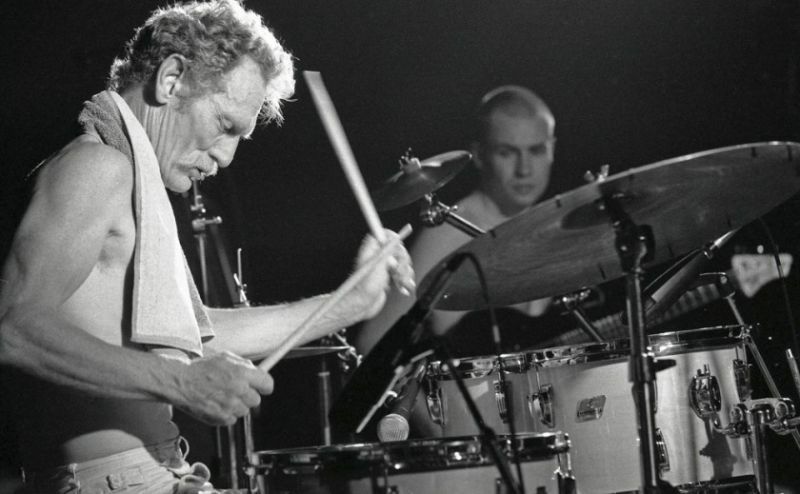 From Allmusic (Bruce Eder): Ginger Baker was rock’s first superstar drummer and the most influential percussionist of the 1960s. There were other drummers who were well-known to the public before him, including the Beatles’ Ringo Starr and, in England at the end of the 1950s, the Shadows’ Tony Meehan, but they were famous primarily for the groups in which they played and for attributes beyond their musicianship. 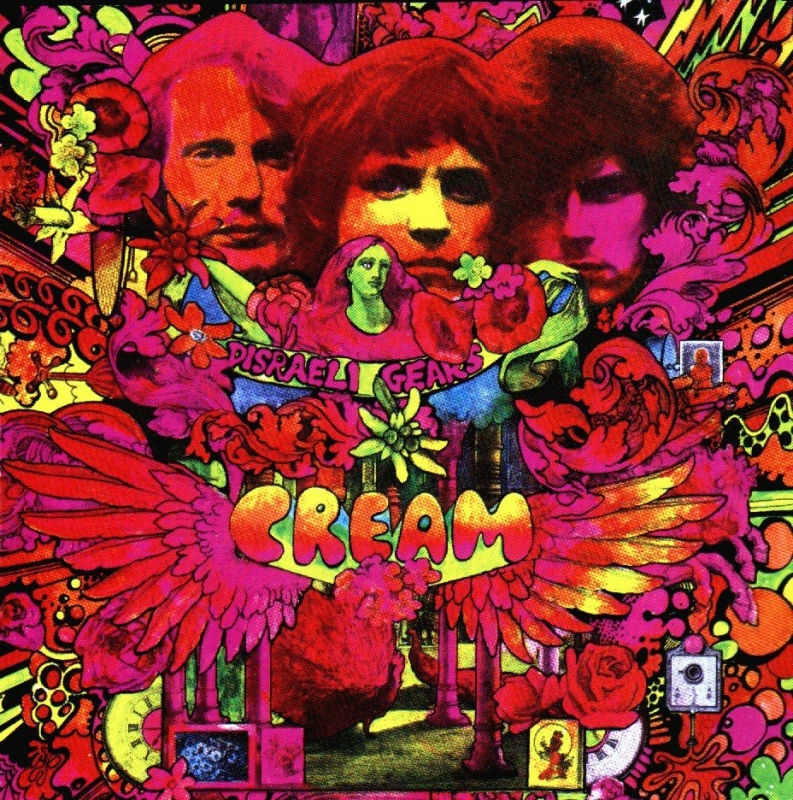 Baker made his name entirely on his playing, initially as showcased in Cream, but far transcending even that trio’s relatively brief existence. Though he only cut top-selling records for a period of about three years at the end of the 1960s, virtually every drummer of every heavy metal band that has followed since that time has sought to emulate some aspect of Baker’s playing. June 7, 1969 at Hyde Park.